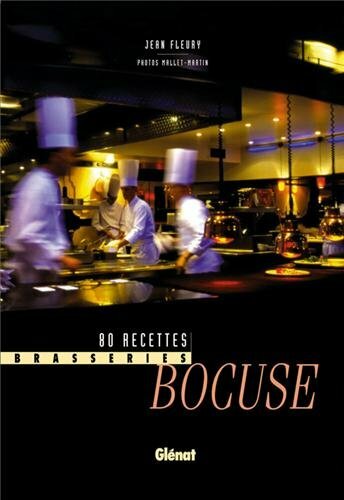 December 2006 English edition ( translated by Harry Foster) This is the first book to present Paul Bocuse's Lyon brasseries, which have enjoyed unprecedented success. Taking their inspiration from the four corners of globe, Le Nord, L'Est, Le Sud and L'Ouest, and of course Argenson seek to bring top quality cooking within the reach of the widest possible audience. Each brasserie has its own theme, close to the heart of Bocuse. Le Nord exemplifies traditional Lyon cooking. L'Est and L'Ouest propose dishes from all over the world, while Le Sud explores Mediterranenan flavours. Finally Argenson pays tribute to French family cooking. As well as containing about 100 recipes, this book describes some of the best produce available in the area - Bresse poultry, Saint Marcellin cheese, Charolais beef, Lyon sausages and so on - explaining their background and how best to use them.